The aim of this paper is to propose a modal framework for reasoning about signed information. This modal framework allows agents to keep track of information source as long as they receive information in a multi-agent system. 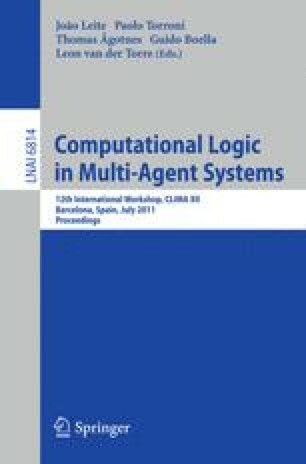 Agents gain that they can elaborate and justify their own current belief state by considering a reliability relation over the sources of information. The belief elaboration process is considered under two perspectives: (i) from a static point of view an agent aggregates received signed information according to its preferred sources in order to build its belief and (ii) from a dynamic point of view as an agent receives information it adapts its belief state about signed information. Splitting the notions of beliefs and signed statement is useful for handling the underlying trust issue: an agent believes some statement because it may justify the statement’s origin and its reliability.